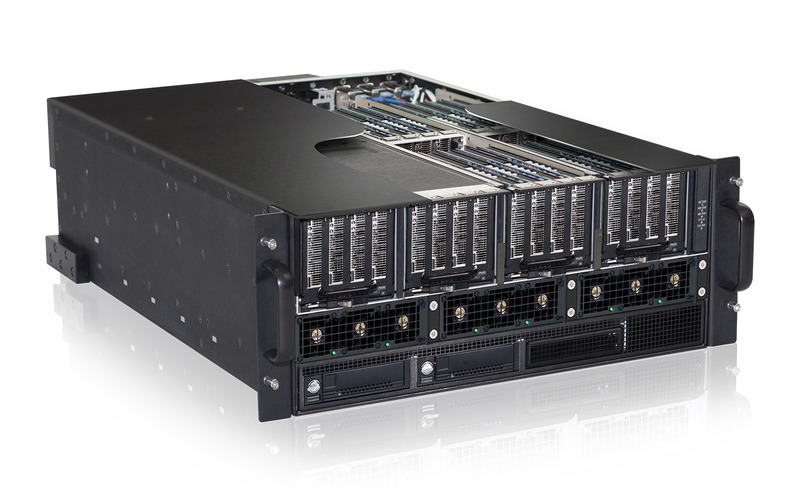 The FSAn-4 from One Stop Systems is used in data centers for accelerating high-performance databases, Hadoop clusters, and high-performance computing (HPC) applications with large data sets. The ruggedized field-ready FSAn-4R NVMe All-Flash Array is aimed at such uses as real-time HPC, high-speed data recording, analytics, and big data. It uses the highest-performance PCIe NVMe flash (eight PCIe 3.0 lanes)for double the bandwidth of 2.5-inch NVMe. In addition, the array features hot-swap capabilities and a 4U MIL-STD ruggedized system. It also supports high-density PCIe NVMe flash – including up to 256 TB raw data. It also has four lightweight (each weighing less than 6.5 pounds) removable data canisters with capacities as high as 50 TB and supports as many as 5 million IOPS. The system also supports ISCSI, FC, and SRP protocols.